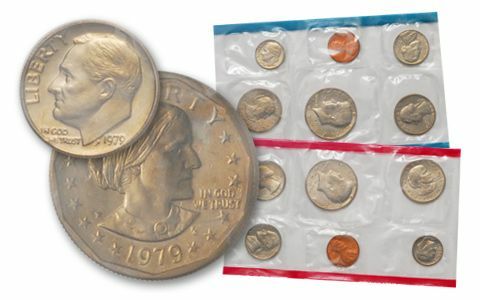 Two of the new Susan B. Anthony Dollars were included in the 1979-PD Mint Sets, helping to increase sales by nearly 400,000 sets over the previous year. However, because the Anthony Dollar was similar in size to a Quarter, much confusion ensued, and many mistakes were made when the coins were offered and accepted in everyday use. This was a lesson that had been learned over one hundred years prior, with the Twenty-Cent Piece, and like the Twenty-Cent Piece, the Susan B. Anthony Dollar enjoyed a very short life (in this case, a mere three years). In 1979, the letter "P" was added to the Susan B. Anthony Dollar. The only other time a "P" mintmark appeared on U.S. coins was in 1942 – 1945, when a large "P" was added to the reverse of the Wartime Nickels. 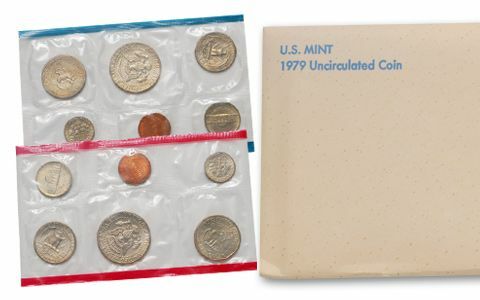 About the sets: The coins in the 1979-PD Mint Sets were Uncirculated pieces pulled from regular production runs, thus the quality of the individual coins varies widely from set to set, and even within a set. 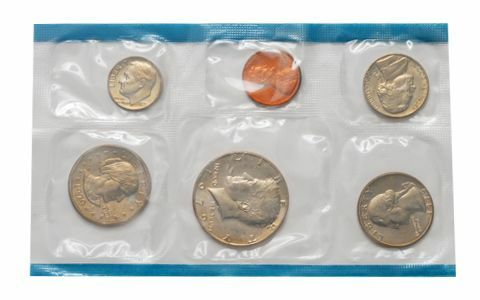 Original packaging: The coins in the 1979-PD Mint Set were sealed in two pliofilm flat packs: the D-Mint coins were placed together in one of the packs, and the P-Mint coins were placed together in another. 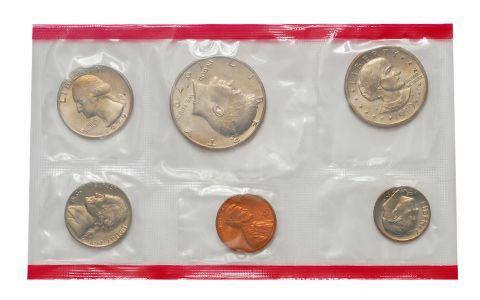 The pack containing the D-Mint coins was edged in red; the pack containing the P-Mint coins was edged in blue. The two pliofilm packs and two pieces of thin cardboard (for protection) were sealed in an officially inscribed, white mailing envelope. The #2 reactor at Three Mile Island Nuclear Power Plant suffered a partial melt-down, nearly causing a catastrophic disaster. Religious leader Ayatollah Khomeini returned to Iran from exile, prompting the Iranian revolution and the seizing of the U.S. Embassy and American hostages in Tehran. The Soviet Army invaded Afghanistan.